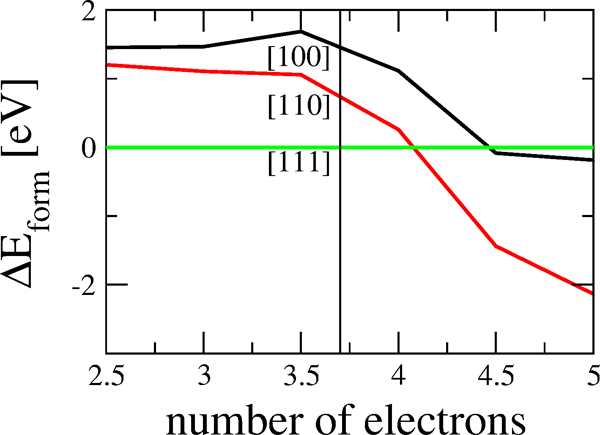 Influence of the d-electron count on the energetic ordering of the , and  self--interstitial defects in Nb as obtained with an analytic bond-order potential. The bond-order potentials are derived from density functional theory by a systematic coarse graining of the electronic structure. Within their functional form the bond-order potentials comprise covalent bond formation, charge transfer and magnetism. We review the derivation of the bond-order potentials from density functional theory and discuss their application to the simulation of refractory transition metals. We show that the derived functional form of the bond-order potentials ensures the transferability of the potentials to atomic environments that have not been taken into account in the parameterization.